Robert Hand is the most highly regarded of astrologers. As his website rightly states, Robert “is one of the world’s leading and most esteemed astrologers” . He was the pioneer of astrology programs for computers, and now his writings are integral to the popular computerized horoscope reports at the largest astrology website, Astrodienst. He has been a prolific writer of best-selling astrology books, including the bible for all astrology students and professionals, Planets in Transit. Robert has also lectured extensively and his involvement in astrological organisations is seen as a sign of their integrity. 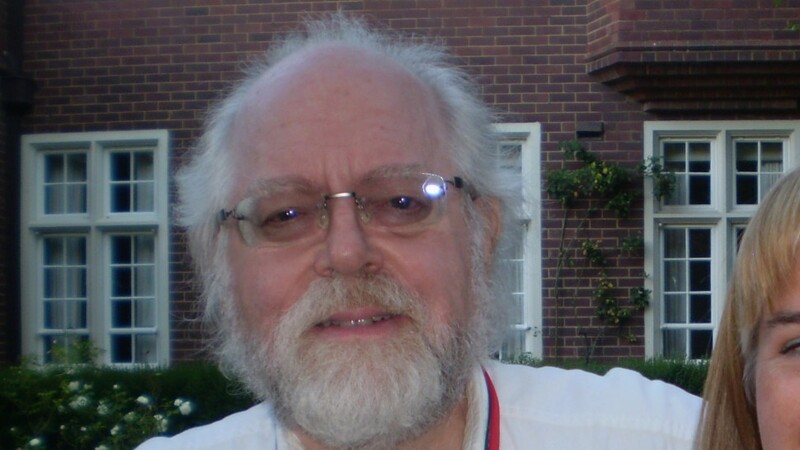 Robert Hand’s achievements and contribution to astrology have placed him at the top of his profession, which his peers acknowledged with the awarding of the 2008 Regulus Award for Lifetime Achievement. On the Ascendant is the fixed star Sirius, which “makes its natives custodians, curators and guardians” , which we can certainly see with Robert in the field of astrology. You often find that people with prominent angles (AC and MC) in their chart, through aspect or fixed star conjunction, lead prominent and influential lives. This is certainly the case with Robert Hand. The Ascendant is strong because of the conjunction to Sirius, Lilith, and the balancing trine to the Moon. The Midheaven is also very strong, being conjunct Ceres, and making a grand trine to Mars and Jupiter. Marina views Ceres conjunct Midheaven as “ones desire to merge and become one with nature rather than the divine. Hand to me as always come across as a very earthed Astrologer and not at all airy fairy. His astrology makes practical sense. I would equate Ceres with his ancient techniques (He championed Whole Sign houses). It’s not simply traditional like Saturn, but from a lineage going way back to the magical times where the was a closer relationship between the nature gods and human beings. So this would include living by the phases of the moon, and respecting the seasons. Ceres is about cycles, as is Astrology”. Mars trine Jupiter is the aspect of success, Mars is the goal directed energy, Jupiter is growth and abundance. The fixed stars involved in this trine are just perfect in explaining its effect on the Midheaven, the career and public status. Mars on the fixed star Agena gives “honor as speaker or writer” . Jupiter is on the brightest star in Canis Minor, Procyon. Like its big brother, Sirius in Canis Major, “it portended wealth, fame, and good fortune” . This high energy, success giving trine feeds up to the Midheaven. So the horoscope shows a life and career of prominence, fame and honor, someone seen as a guardian, looked up to as the authority in his field. But why astrology? The traditional ruler of astrology is Mercury, and it sits right in the middle of Robert’s Sun Venus conjunction, astrology is the love of his life. Uranus is the modern ruler of astrology, and is part of a T-square aspect pattern, opposite the Vertex, the destiny, and square Chiron conjunct North Node. This T-square causes tension, it pushes and forces action, to create, to make something happen. The focus of this aspect pattern is on Chiron conjunct North Node. The insights and awareness of Uranus, facilitated by the destiny encounters of the Vertex, opening up this awareness to new levels. All this inspired information comes down to the Chiron North Node conjunction for expression. The North Node is the karmic path, where the soul wants to go. Chiron is the healer and the teacher, foremost he is the teacher of astrology. Both Chiron and the North Node are conjunct the fixed star Regulus. This star is associated with astrology, “An old saying goes that Regulus in the 10th house ‘makes astrologers to kings, people in high positions and noble men’.”  Nice association here, winning the Regulus Award for Life Time Achievement. I have a very strong passion for astrology, Mars on Regulus. I had been studying and using astrology in my life for a number of years, but it wasn’t till I got a copy of Robert’s first book, Planets in Transit, that I was truly inspired to aim for a career in this field. For years I had been using a technique called precession correction for calculating my transits. I used this because my learning was based on the fixed stars, which move forward slowly through the tropical zodiac. I saw the stars as the reference for the motion of the planets, not the twelve Sun signs we are all familiar with. I thought I was the only person in the world doing this, I wasn’t on the Internet back then, and didn’t know any astrologers. 2. Fixed Stars and Constellations in Astrology, Vivian E. Robson, 1923, p.118,208. 3. Star Names, Their Lore and Meaning, Richard Hinckley Allen, 1889, p.134. 4. Fixed Stars and Their Interpretation, Elsbeth Ebertin, 1971, p.46. 5. Planets in Transit, Robert Hand, 2001, p.29-30. Love that quoting Marina there.. definitely something to Lilith’s energy on the ASC. As well as that prominent star on the ASC. I loved this interpretation.. its got elements within it I could see very clearly after they are pointed out. Also the planetary energies remind me of my own son’s Vertex conjunct Mars in late degrees of Sag (exactly conjunct Chiron)also in the 5th house! It makes me wonder about whether Robert Hand had been a rather competitive sport enthusiast at any time in his life or in his youth. I would think he would be competitive in a healthy way with that Mars trine Jupiter, it is related to sport as you say. With Mars, Chiron, Vertex in late Sagittarius, that around about the tip of the Scorpions tail in the stars, very intese, priecing. Mars with Chiron can really bring out the wounding/healing side of Chiron. I would be interested to know if for example he has scars on his body more than the average. I have a lot which I thought might be due to Mars quincunx Chiron. My son at this time, although has had a number of accidence has been lucky enough not to be permanently scared. He’s lucky. Him as a little one had much energy, and fell on his face about two times, due to running away from not coming in the house to go to sleep.. tripping on granite steps (I remember clearly, and painfully). He was all better very fast. He’s kind of fearless in one area, skiing. He’s a natural and he has an intensive interest in it. He’s still young but he could end up in trouble with his intensive attitude in the future.. but still its tempered with natal 10th house Moon in Aries trined.. or maybe not! Hi, Great article!!! I met Rob in the winter of ’88 at a Buz Myers ‘intensive’ in Ventura,Ca. Signed up for his Caballa class but cut class and went up to Santa Barbara for lunch instead, have many times over the years kicked myself in the — for that mis-step. Yesterday while decluttering my parents garage I came across Buz’s Getting on time with your life workbook and pondered what the message was, now this article. Wonder what tomorrow will bring?? No point kicking yourself over that, I’m sure it was all for a reason. Probably due to timing. Mis-steps might be fates way of getting us where we should be in the longer term, in the bigger scheme of things. Hi Jamie – Good post! I especially liked your interpretation of Robert Hand’s T-Square involving his Vertex/Uranus opposition. I have this same opposition – also in my 5th – and find the importance of the Vertex is often overlooked. Maybe someday you guys could do a post on the Vertex???? Thirty years ago, I probably owned every book ever written by Robert Hand. His words made sense to me and his book on transits was a life-saver. :) That was back in the good old days when one could purchase astrology books from bookstores. I hadn’t realized until now but his Mercury is pretty close to conjunct my Sun/Moon midpoint, which helps explain the illuminating effect his words had on helping me to understand ME, as well as my relationships. His Uranus also conjuncts my Mars, as does Donna Cunningham’s. It’s interesting to consider the synastry. You brought up a great point about synastry with our teachers (authors of books we love). I’ve noticed this too with astrologers I resonate with. My Vertex is conjunct Rob’s Uranus, as well as my Mars on his Chiron North Node that I mentioned. With the Vertex, it is so important, especially in relationships. I see it triggered in first meeting charts a lot. I noticed this when I was spending a lot of time on astrology forums. You find the time for a first post by someone, then find their location. Often the Vertex in the natal, or in the transits will point to why they posted, or why it’s you they end up chatting to. That explains why I’m so consistently drawn to your site. My Vertex is exactly conjunct Marina’s Midhaven (and Moon), and Marina’s Vertex is exactly conjunct my Mercury, right on the cusp of my 3rd. And Jamie – your Vertex is exactly conjunct my Mars/Part of Fortune. How funny! Now I’ll have to check out transits for the first time I commented. Thanks! Please help me. I wish you please to do my horoscope. I was engaged to be married. My fiance left 1 Dec 2010 without a word. Family and friends interfered. We were so well matched.Wew were together for 3 years I know they say let go but for me i can’t I love him unconditionally. Ca we fix this. My reply is not about the chart of rob hand, but about a chart he did on me, wich was totally wrong. Instead of use a more normal Placidus system he used another one, wich turned out completely incorrect. So that money went downed the drain so to speak. Why I even bother to complain I dont know, but some people are just not clear in their minds. I think also that it is a possibility that he might have ascendant in Leo and not Cancer. I am not sure that Placidus calculated in Astro.com is the same as calculated in other place. However there is no question that he is one of the most celebrated of astrologer and his book (Planets in transit) is very good. Do you ever run into anyy webb browser compatibility issues? inn Chrome. Do you have any advice to help fix this issue? Really wonderful write-up! I’m wondering where someone who is new to the idea of corrected positions might be able to find more information on this (hopefully information that is very straightforward and presented in a down-to-earth way? ), or if you have any books or websites to recommend. Thank you!